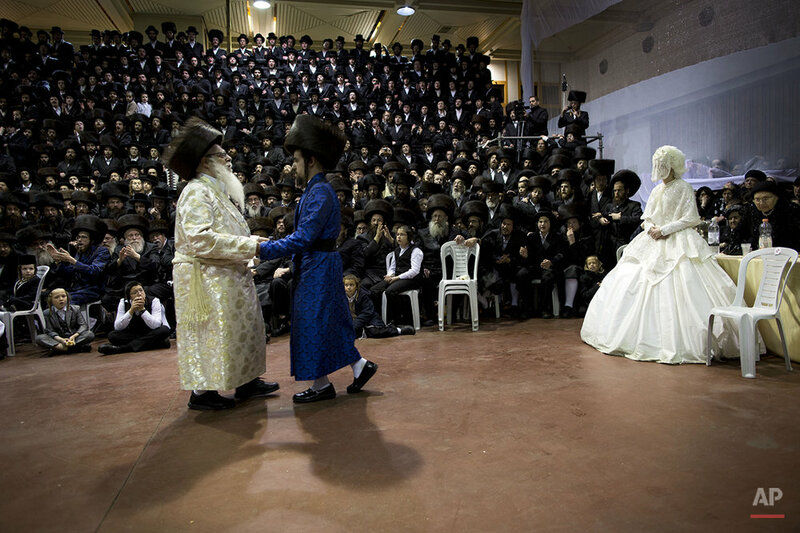 The marriage ceremony is perhaps the greatest highlight in the life of an ultra-Orthodox Jew. 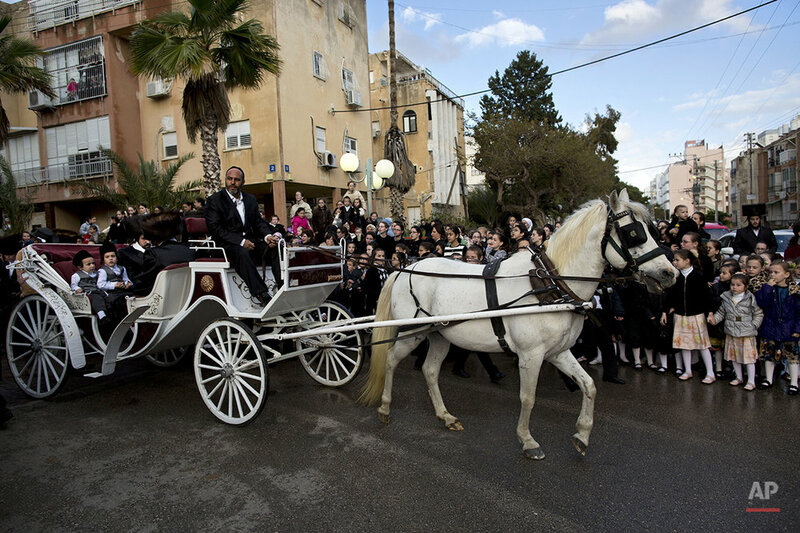 And when it comes to the community's most prominent members, it turns into a public spectacle. 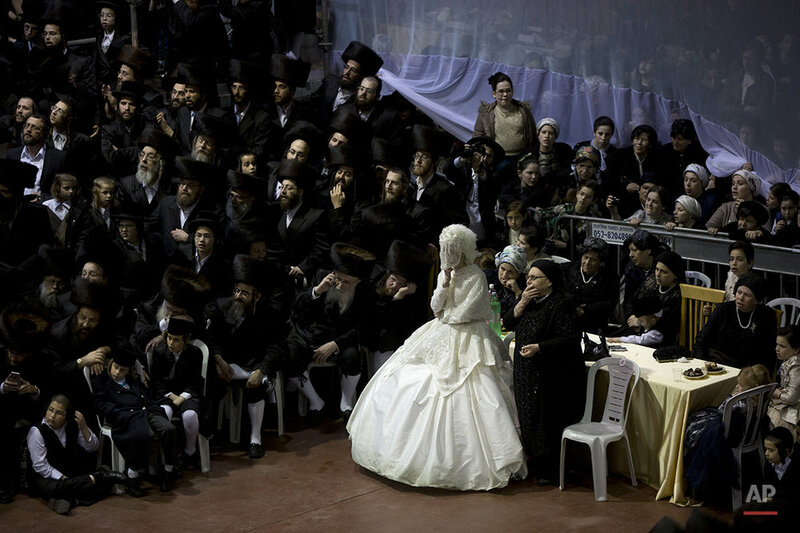 Text from the AP news story, AP PHOTOS: A traditional ultra-Orthodox Jewish wedding, by Oded Balilty.